Start We Have Reached the Future – Will We Ever Return to the Past? We Have Reached the Future – Will We Ever Return to the Past? 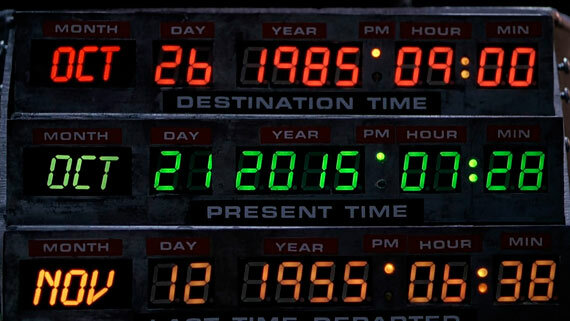 October 21, 2015 should be a day just like any other, except that the writers of the film series “Back to the future”, Bob Gale and Robert Zemeckis, chose this date for the main characters to travel forward in time to an era of flying cars, levitating skateboards and self-lacing sneakers. The legions of fans of the three movies have been looking forward to this day, and the media are taking the opportunity to compare our 2015 to that of the world in which Marty McFly’s amusing adventures take place. But unfortunately the main premise of the film has not been achieved – we have not yet managed to travel in time. And this despite the fact that time travel has a long tradition in human imagination. Its oldest references date back to mythology, and in the eighteenth century it began to appear in literature. The idea of ​​associating the journey in time to a device was born in 1881 in the story “The clock that went backward” by American author Edward Page Mitchell, although the first fictitious vehicle designed specifically to jump through time was “El Anacronópete” (1887) from Spanish writer Enrique Gaspar y Rimbau. 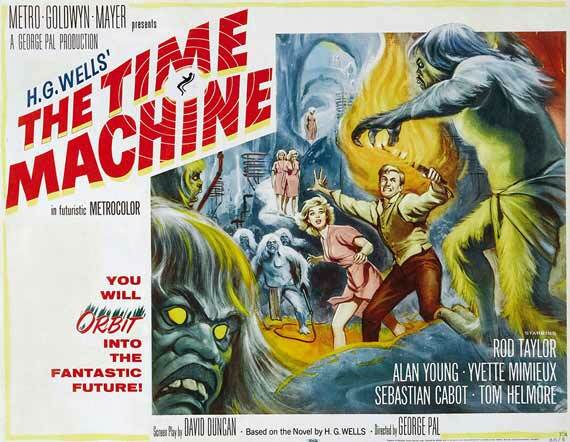 However, it was the prolific British writer H. G. Wells who coined the term ‘time machine’, in the novel of the same name that popularized the concept in 1895. Thus there is no doubt that time travel is an old human desire. “We are attracted to the idea of time travel despite its physical implausibility,” philosopher Sara Bernstein of Duke University (USA) tells OpenMind. “It offers the opportunity to be present at past events firsthand. Imagine watching one’s own parents meet.” We might also like to change history, says Bernstein, for example preventing the assassination of Archduke Franz Ferdinand of Austria that sparked World War One. But we would like to snoop around a bit in our future as well, “to see how our own futures turn out, whether there will be an iPhone 35, and whether humanity will survive for thousands of years more,” suggests the philosopher. Bernstein specializes in the metaphysics of causality and time; it is thinkers like her who can explain the peculiar logic of time travel to us. One case is the so-called ‘closed causal loop’, in which “an event in the future causes an event in the past, which thereby causes the initial future event to occur,” explains Bernstein, whose favorite example is the Terry Gilliam film “Twelve Monkeys” (1995). In it, prisoner James Cole is sent back in time to find a cure against a virus that has decimated humanity. “He has always been haunted by a particular dream. The dream causes him to do certain things in the past, which lead to his having the dream in the future,” summarizes Bernstein. Gilliam’s film is also one of the preferred time travel stories of Thomas Roman, professor at Central Connecticut State University (USA), who specializes in general relativity and quantum field theory. Roman represents another front in the quest to understand time travel, that of physicists and mathematicians who analyze whether time jumps are just a practical technological challenge or if instead they will crash against the wall of inviolable natural laws. And in this respect, the outlook is different if your dream destination is the past or the future. We owe physicist Albert Einstein for giving us the real possibility of traveling to the future. 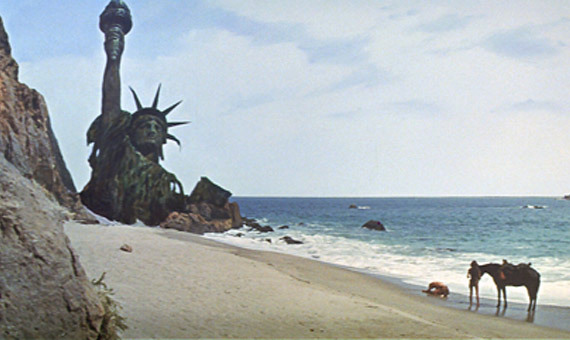 In his special theory of relativity, the German scientist discovered that time passes more slowly at higher speeds, an effect that led Charlton Heston to a very different future Earth in “Planet of the Apes” (1968). “In principle, if a human being could travel at a speed close to the speed of light and return to Earth, then at the end of her journey, decades (or even millions of years!) could have gone by on Earth,” says Thomas Roman to OpenMind. The specific application of wormholes as time machines is especially reflected in the so-called Ring of Roman (“I didn’t coin that name, and certainly would not have named it after myself,” clarifies Roman). The system is made up of “a number of wormholes, none of which is individually a time machine, but to arrange them in such a way so that the entire combination forms a time machine,” summarizes the mathematician. However, in this case it is not just about building a spacecraft, even an extremely sophisticated one; there are “many, many theoretical problems,” stresses Roman. In 1992, physicist Stephen Hawking proved that to keep a wormhole open and prevent its immediate collapse, something called ‘negative energy’ is necessary. Quantum physics predicts the existence of this exotic element, but “in classical physics all energy must be positive,” Roman emphasizes. What is more, even in the tiny world of subatomic particles, “the larger the amount of negative energy you want to create, the smaller the time period over which it can last. It turns out that these constraints strongly limit the possible size and/or structure of wormholes,” concludes Roman. 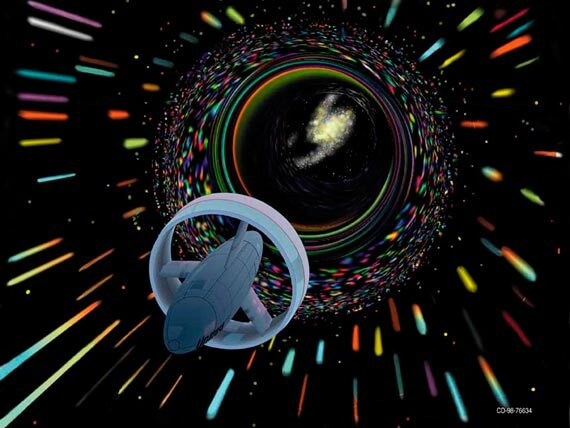 Nevertheless, for time travel fiction closer to real science, wormholes have been the preferred choice, such as in Contact (1997), written by astronomer Carl Sagan and directed by Robert Zemeckis, or the recent Interstellar (2014), directed by Christopher Nolan with advice from physicist Kip Thorn. But if the story is just for entertainment, even a DeLorean sports car will do the trick. For Sara Bernstein, from the metaphysical point of view the plot of “Back to the Future” is logically impossible. “But it is still a fun movie!” she adds.